GALION — With the celebration of Veteran’s Day each year, we pause to remember and say thank you to those who have sbravely served our nation and defended our freedoms since the birth of our country. It is a wonderful reminder of the difficult sacrifices made by our servicemen, servicewomen and their families. It is also important to remember that while the veterans we often think of have completed their service to our nation, many young members of our armed services are just getting started. In the past two years, approximately 18 graduates from Galion High School have chosen to serve in the United States military. With multiple opportunities for their futures in front of them as they approached their high school graduation, these young adults chose to better themselves, while serving their country and planning their future. This decision not only affects their lives, but the lives of their parents and familiesl. And for a few, military service was all ready a part of their life. Kade Dyer, a 2017 GHS Graduate, is a firefighter in the Air Force Reserves. His father Mark has served as a member of the Air National Guard for nearly 35 years. Because of his father’s military history, the decision to serve was an easy one for Kade. Brevin Owens, also a 2017 GHS grad, had the same thought process. Brevin’s father Brian has been with the National Guard for 23 years. Dyer and Owens are scheduled for overseas deployments within the next six months. 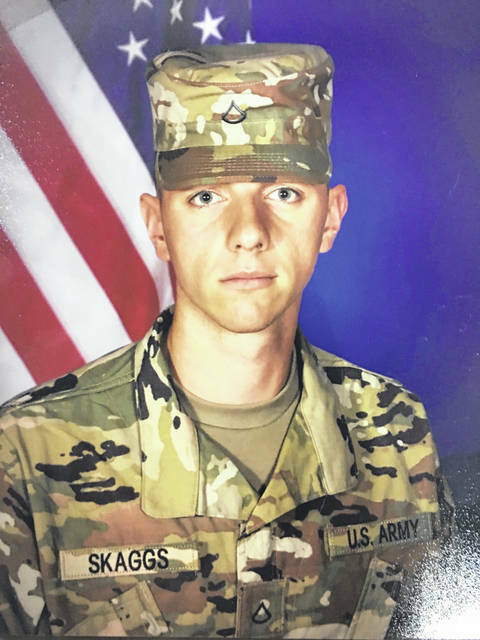 Ethan Pigg, a 2018 grad, left for basic training on Sept. 11. He is a member of the Air Force Reserves, also. Ethan’s father Tim is a veteran, having served give years of active duty in the Air Force, but that did not make it any easier to say good bye to his son. Owens and Dyer are just two of 12 from the GHS class of 2017 who chose to serve their country. And those 12 graduates had an influence on the GHS grads in the class of 2018, as another six students followed their example. The reasons for service vary, depending upon who ask. 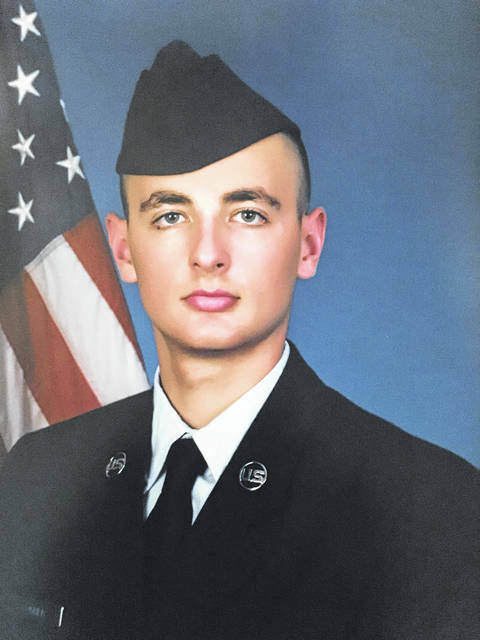 Unlike classmates Dyer and Owens, Garrett Kuns was new to military life. And he as unsure of his career path as he approached graduation. 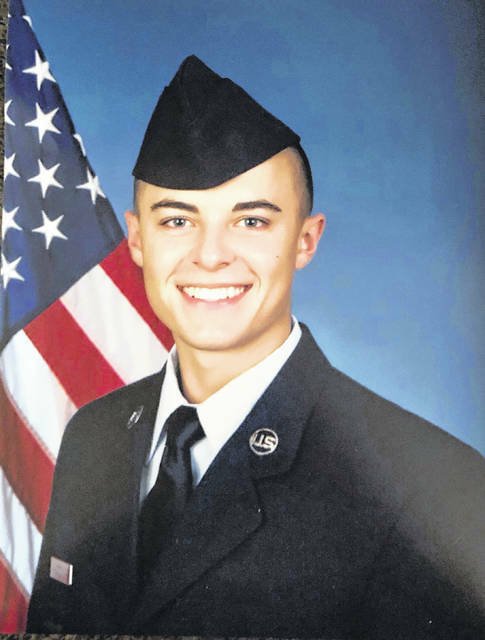 The influence of his friends led him toward the Air Force Reserves and he hasn’t looked back, especially now that his time in basic training is over. While Kuns is still undecided about a career choice outside of the Air Force Reserves, he is attending classes at The Ohio State University-Mansfield without the worry of future debt … thanks to his choice. And for many who enlist as a reserve or full-duty member of the Armed Forces, that alone is a huge factor. Mitchell Dyer, a 2018 graduate and son of Greg and Lisa Dyer, was up front about his decision to serve. Mitchell said he plans to return home after his training is completed to pursue a career in physical therapy. Dyer was also quick to mention the influence of his aunt Kelly Dyer, as well as Mark Dyer, who have also served. Colton Skaggs had a different experience than the other grads. Which is why he enlisted with the Army Reserves as opposed to the Air Force. He is currently away from home while training, but will return home to begin classes at the University of Toledo. The lone female of this impressive group is set apart from the boys in two ways. 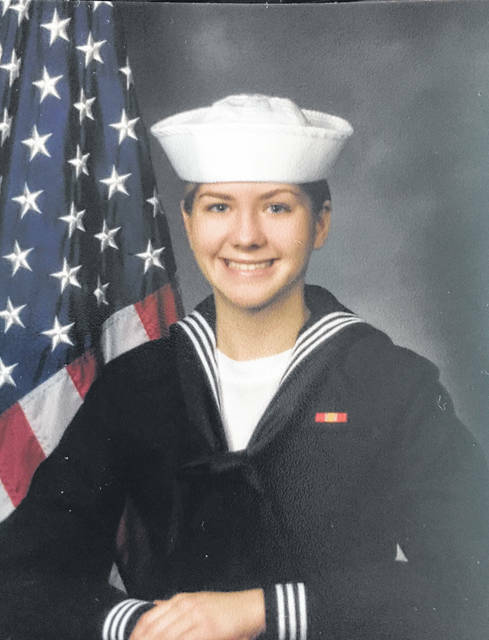 Ashley Flowers is in the Navy, and she is enlisted for five years of active duty. The daughter of Rob and Darcy Flowers, she graduated from GHS in 2017. Knowing that she wanted to see more of the world outside of Galion and she did not waste time waiting to figure out her future. The Navy was her choice. 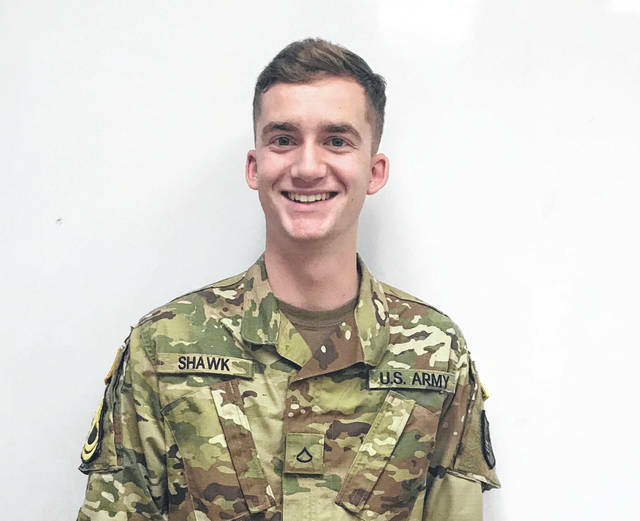 Thomas Shawk, son of Jay and Erin Shawk, graduated from GHS in 2017 as the senior class president. He is active duty with the U.S. Army and is specializing in military intelligence..He also was an Honor Graduate from his basic training class in Fort Sill, Oklahoma. While most parents can admit their reluctance and trepidation when first met with their child’s decision to pursue the military, these parents have moved past their fears to find a pride and bond they didn’t realize was possible. 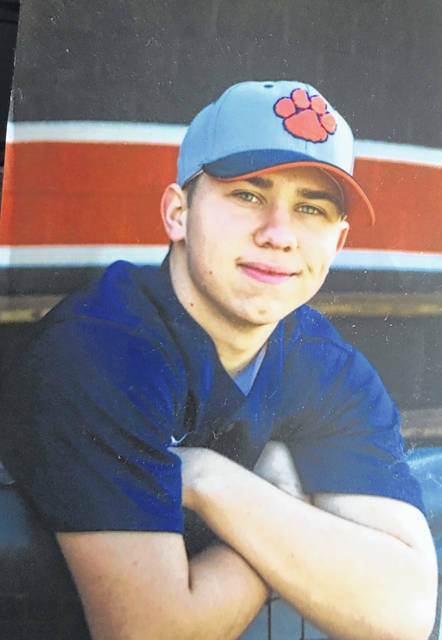 “When you are preparing to watch them go, and you see your child get excited and ‘buy into’ the road ahead of them, you get excited too,” said Sheila Dyer, Kade’s mother. And while letting go is never easy, the parents are all ready seeing the benefits in the lives of their children. For Mark Dyer, one aspect alone makes the situation more meaningful. 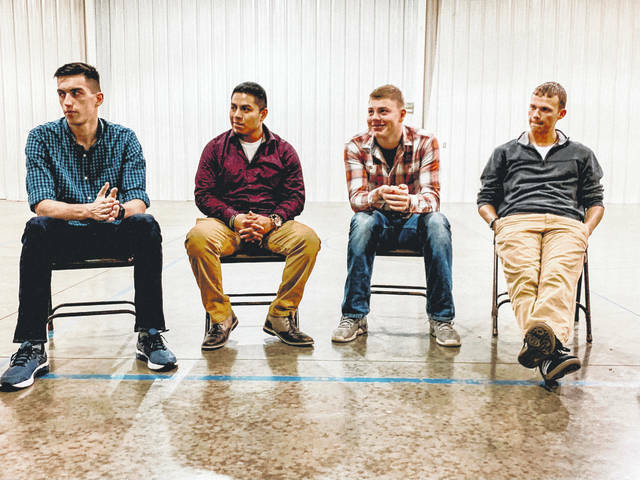 2017 Galion High School graduates Landon Rose, Kade Dyer, Garrett Kuns, and Brevin Owens sit down to discuss their choice to enter the Air Force Reserves after graduating high school, and the impact on their future and families. Submitted photo. https://www.galioninquirer.com/wp-content/uploads/sites/38/2018/11/web1_45690128_195963821288305_4460123511679090688_n.jpg2017 Galion High School graduates Landon Rose, Kade Dyer, Garrett Kuns, and Brevin Owens sit down to discuss their choice to enter the Air Force Reserves after graduating high school, and the impact on their future and families. Submitted photo. Contact Erin Miller at emiller@aimmediamidwest.com or 419-468-1117 x-2049.